First, I’m going to skip to the end—I am going to side with Major (shocking, I know). I still think he needs work, but I do think he has a point—Liv isn’t the only zombie trying to do good and she should have thanked him. He did risk a lot letting them through the checkpoint of a restricted zone. Which, if you must sneak into a restricted zone, is driving through in a hearse the best way? Also, couldn’t they ask the kid to crawl into the casket—just saying. I think being angry at Major was the wrong call—I just think having a person on the inside of Fillmore Graves, especially in security, is a good friend to have and Liv needs accept she isn’t a solo act and can rely on others. Also, she must adapt a little more. Now that zombies are out, I think she needs change how she operates. Times are tense in New Seattle, and I think they are only going to get more so. This week Liv was on entitled old lady brain and by far my favorite thing about it—the strawberry candies she kept pulling from her bag. You know the ones I’m talking about—they magically appear in the bags of women once they get to a certain age. She probably had butterscotch candies floating around in there as well. 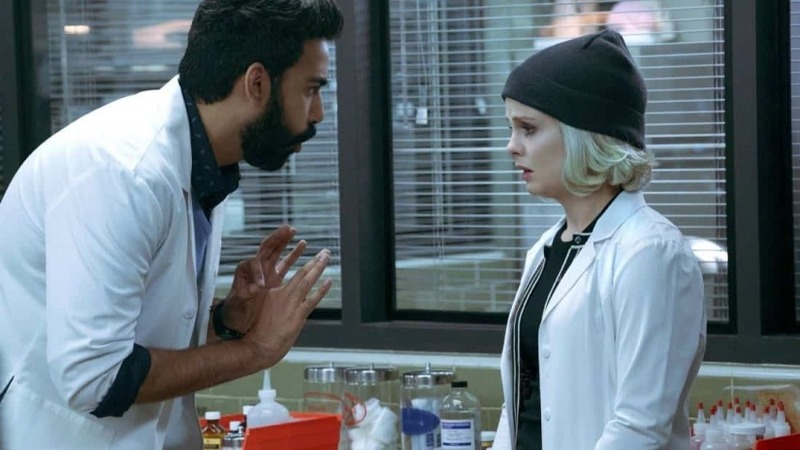 This wasn’t my favorite episode of iZombie, and I think it partly had to do with this brain Liv was on. 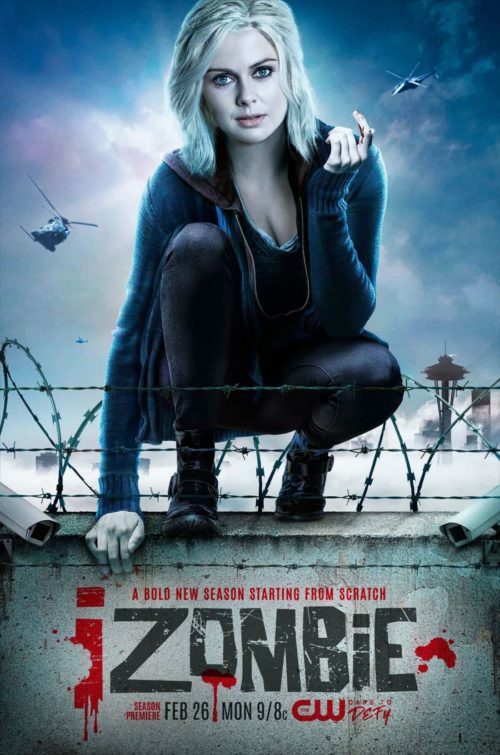 Don’t get me wrong, Rose McIver did a great job acting—maybe too well. The woman killed didn’t have a redeeming quality (unless giving a million dollars to her staff counts)—she was a rude drunk and even though being a horrible person shouldn’t mean getting killed, when they caught the killer, there wasn’t satisfaction, it was just a little sad. I’m glad the brain wore off in time to help the little boy, but that whole part of the story seemed forced. I just can’t help thinking that there had be another way. That there would be procedures for extenuating circumstances, like removing critically ill people from New Seattle if medical help wasn’t available. Chances are though, if this was a real-life scenario, people would slip through the cracks and lives would be lost. Maybe that is the most upsetting thing: the situation our characters find themselves in is too real. Only four months have passed since the truth about zombies came out, and it is going to take time for things to be worked out. I think as more time passes, the more they are going to be divided. I do think a division is coming, but I also think a united front will be needed to get rid of the rising threat. Angus McDonough is now leading a zombie church and he is providing two key things: acceptance and brains. His numbers are growing fast. I think his movement is going to put them all in jeopardy. If zombies start a killing rampage, if order seems lost, then I can see New Seattle getting bombed. Blaine should have just killed him—but I’m glad he didn’t because I’m enjoying the story. I’m just saying that it would have been the best thing if he had. Blaine was MIA this episode, and that detracted in my opinion—I just really like his character. It is always fun to have a character you know you should hate, but they are so charismatic you can’t help but like them—Blaine is that character. I want to see more of him, less Major (just because I agreed with him, doesn’t mean I’ve been swayed to his camp). Speaking of MIA, I also missed Peyton. I know we can’t cram everyone in one episode, and we are only into episode two of the season, but I just have waited so long for the season– I can’t wait to get more. 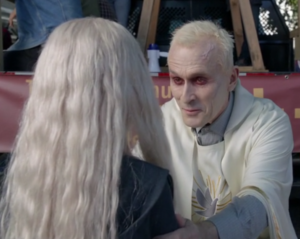 This episode just left me wanting—not to say it wasn’t good, it just wasn’t the best outing from iZombie. Maybe it just wasn’t the most fun episode—I know it can’t be all sunshine and rainbows, but the usual levity of the show was missing. I am though super excited to see Liv on the brain of a person obsessed with romantic comedies—this looks like it will be fun! 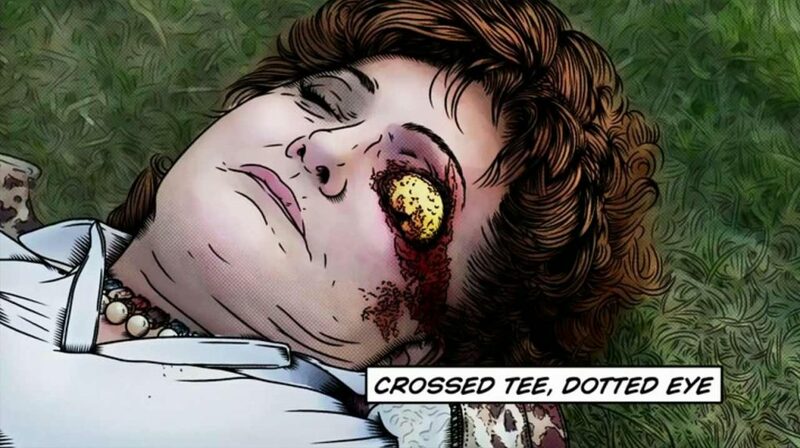 Re: cuddly zombies – Santa Clarita Diet and iZombie both have humanized zombies although not all zombies retain their humanity. Or at least they are undead. I think I could make a case for disease outbreaks being the last true fictional monsters.